After ousting Chairman Carlos Ghosn, the Japanese carmaker wants more say in an unequal alliance. Given the partnership’s lopsided governance, Nissan’s best bet would be to snap up shares in Renault, neutralising its controlling stake. Ghosn’s exit makes a hostile raid easier. Carlos Ghosn, chairman and CEO of the Renault-Nissan-Mitsubishi Alliance, attends the Tomorrow In Motion event on the eve of press day at the Paris Auto Show, in Paris, France, October 1, 2018. Picture taken October 1, 2018. French Economy Minister Bruno Le Maire and his Japanese counterpart Hiroshige Seko on Nov. 22 reaffirmed support for the Renault-Nissan alliance, after Renault Chief Executive Carlos Ghosn was ousted as the Japanese company's chairman. After meeting in Paris, a joint statement expressed "the strong support" and "their shared wish to maintain this winning cooperation". 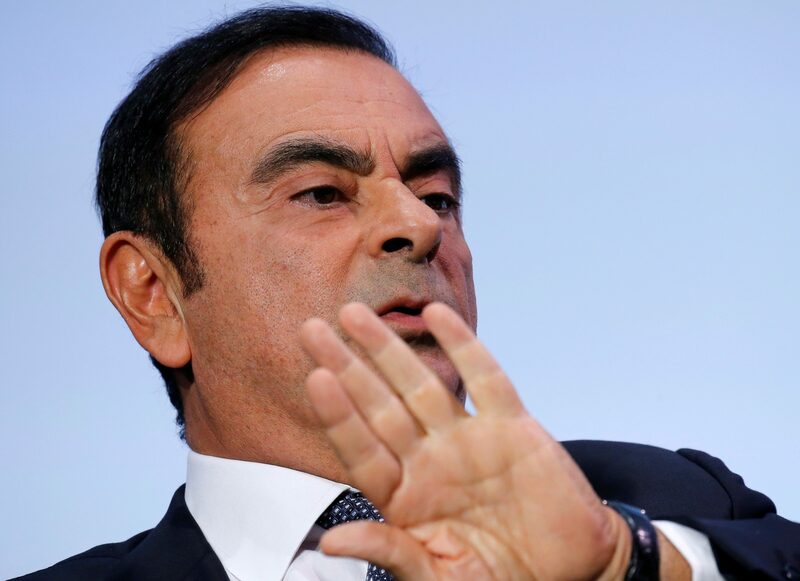 Ghosn was the architect of the alliance and was pushing for a deeper tie-up, including a potential full merger of Renault and Nissan, despite strong reservations at the Japanese firm. Nissan wants more influence in the alliance, Reuters reported on Nov. 21, citing an anonymous company executive. Also on Nov. 22, an official in President Emmanuel Macron's office said France had told Japan that now is not the time to contemplate changes in the power balance inside the Renault-Nissan alliance. Ghosn and former Nissan Representative Director Greg Kelly are currently being investigated in a case of alleged conspiracy to understate Ghosn’s remuneration by about half the 10 billion yen he earned at Nissan over five years from fiscal 2010.